Rahul Gandhi had yesterday said that Congress party had consulted top economists including former RBI Guv Raghuram Rajan before drafting minimum income guarantee scheme. 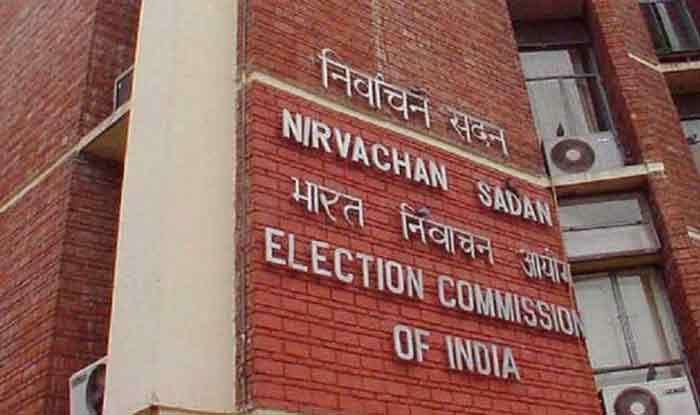 New Delhi: The Election Commission of India (ECI) has sent a letter to Niti Aayog vice-chairman Rajiv Kumar, asking him to explain his comments wherein he had criticised Congress over minimum income guarantee promise. If reports are to be believed, Kumar has been asked to respond within two days. Notably, Kumar had accused the Congress of promising the moon to win elections. “The proposed income guarantee scheme fails the economics test, fiscal discipline test and execution test,” Niti Aayog vice-chairman had tweeted. Speaking to PTI, sources in the poll panel said that since Kumar is part of “bureaucratic executive”, such remarks may be violative of the model code. “He is a public servant and ideally should not have made such a statement which is seen as working to the BJP’s advantage. His comments have been sought,”Indian Express quoted one of the sources as saying. Earlier on Monday, Congress president Rahul Gandhi promised to give Rs 72,000 every year to 20 per cent of the poorest families if his party voted to power in the forthcoming polls. “If Narendra Modi can give money to the rich, Congress party will give the money to the poor. We will do justice by the poor people of the country through the Minimum Income Guarantee scheme. Congress party guarantees that 20% of the families below poverty line will get Rs 72000 annually,” Rahul Gandhi said. He had claimed that five crore families and 25 crore people will directly benefit from the scheme.